I just happened to be flipping through one of my favorite bridal magazines and ran across the Unity Cross. I had to look more into it and I have to say that I love the idea. A strong masculine cross joined with a more dainty and feminine cross, joined together with three brass prongs to create one solid statue. This represents two lives joining as one and held together by God, the man, and the woman. So often, we get caught up in the acutal wedding that we tend to forget that the marriage should last far longer than one night and something that should be worked towards everyday. 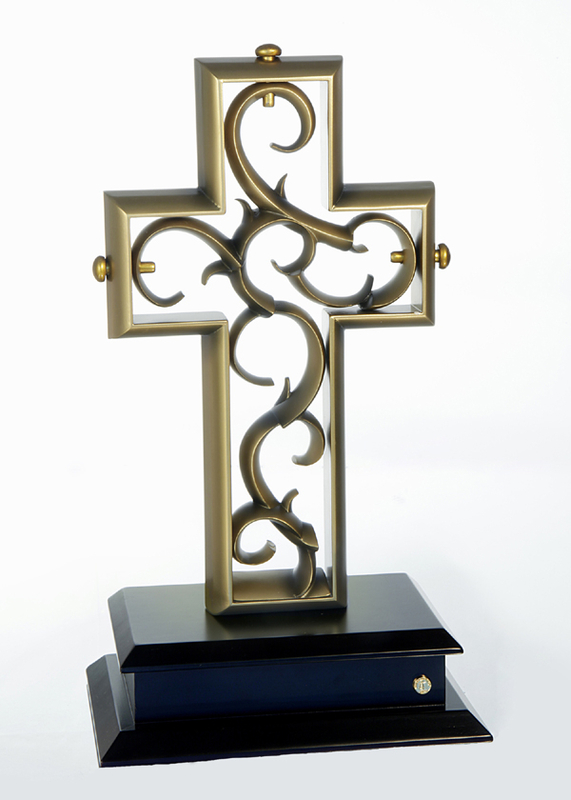 The Unity Cross can serve as a constant reminder of your vows. Take a look at the video below to see firsthand.